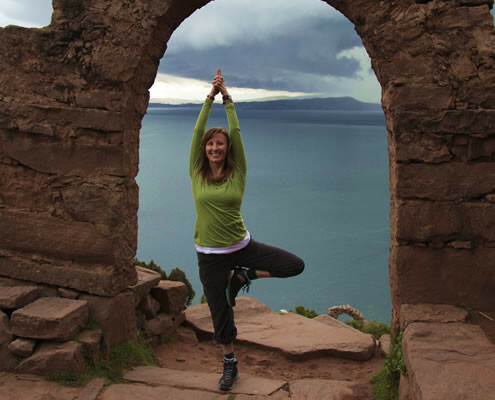 With Cheryl’s passion and focus for well-being, she started her yogic journey back in 1992 when she moved to Vancouver BC to pursue a more holistic lifestyle. Cheryl came from a physical way of life after 25 years of martial arts. 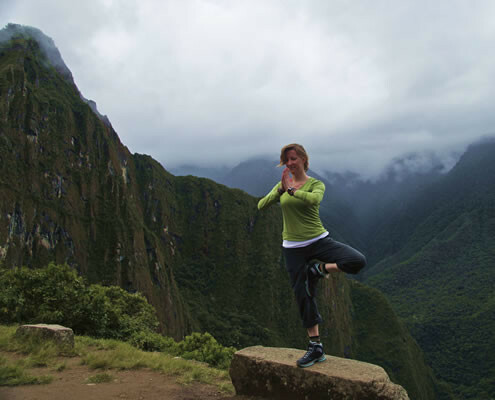 In search for balance in the daily stresses of life, and managing chronic pain from many injuries, she discovered mediation and energetic awareness trainings. The melding of these two disciplines created a more balanced mind body approach. 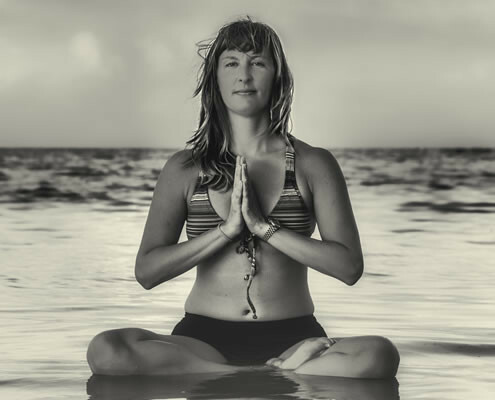 With the internal balance & focus that she acquired through karate her transition to Hatha yoga was a natural progression that led to her into incorporating yoga into her daily life. Just as Karate was a way of life for Cheryl then so became yoga…After years of study, and teaching her martial students yoga, Cheryl fully realized her ambitions to become a yoga therapist & teacher when she went & embarked in an intensive yoga training at the ashram Anand Praksh located in Rishikesh, India. 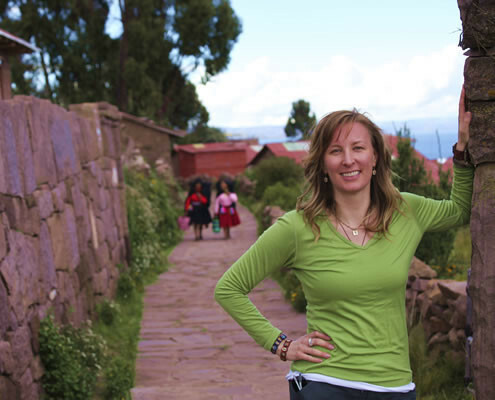 Cheryl proudly obtained her 200 hour Hatha & prenatal yoga teacher certification. After being bitten by the yoga bug. 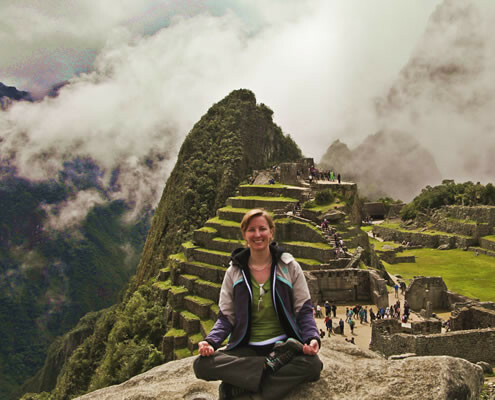 Cheryl realized the next step in her yogic journey to healing was to obtain her 500 hour certification in Yoga Therapy at Heaven on Earth Yoga Institute & Integrated Health & Yoga Therapy in Ontario. Other teacher trainings include, Yin, Hot, Restorative and Yoga therapy. 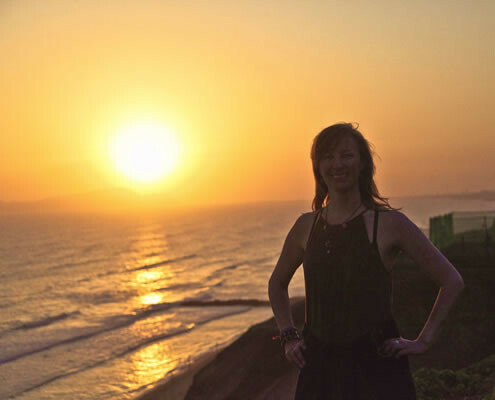 Cheryl holds regularly scheduled classes, in Hatha, yin, restorative yoga, therapeutics’ & corporate yoga. Why am I passionate about Yoga Therapy? Yoga therapy is one of the fastest growing modalities of therapeutics in western society today. Many clients have exhausted every effort in trying to find the style of therapy that works for them and they are now looking to yoga and therapy for answers. After 5000 years since yoga birthed itself, it is now practiced worldwide by many people for over 50 years, Yoga is here to stay and is not the next best faze in fitness. This is one of the many reasons I have become a teacher and now a therapist. I have had many sports injuries and surgeries and yoga is now an integral part to my own healing journey and will continue to help me age gracefully. I have dedicated a better part of a decade to taking classes, workshops, teacher trainings and now working with clients one on one. with yoga therapy. A typical response from a new client to Yoga Therapy is they have tried everything else for their health issue and now will look outside the box with the approach of mind, body, and spirit. They express they have been “medicalized” by their doctor’s and therapist’s and they have only seen the physical body. They want all three dots connected. In short they are looking to relieve pain naturally, find alternative methods to healing and find ways of empowering themselves back to health on their own terms. And this is exactly what yoga therapy does, it is without a doubt one of the main bridges between mind, body and soul. My plan for 2014/2015 is to have world wide yoga retreats with local workshops and group therapeutic classes that address certain issues, such as; Low Back, Shoulders, Relaxation, Recovery & Rehabilitation and autoimmune diseases. I’ll continue group yoga classes at Goodlife Fitness and take on as many clients as I can handle for Yoga therapy one on one sessions. I started practicing yoga only few weeks ago; the first time, I took lessons with Cheryl at a local studio and I really enjoyed it. Since I wanted private lessons I asked Cheryl to be my teacher. She taught me a daily routine, how to breathe properly, relax and concentrate. After three weeks I started to feel the benefits of yoga, and how my body was more flexible and my mind more relaxed. Cheryl is a very good yoga teacher; she is very clear with the instructions and constantly checks your posture and breathing. She also varies the routine according to each student; in my case I have thyroid problems so she has taught me some postures that will aid my health. Nine years ago, I thought I would try Yoga for exercise. At the time, I felt that jogging is only for leg exercise, I wished to do some whole-body workout. It happens that a friend referred me to see Cheryl who teaches Hatha Yoga. In the beginning, 94 degree temperature was hard to get used to. Later on, I do realize exercising in a hot room prevents muscle injury. Three times a week at one and half hour each session, from standing to lying down, there are so many postures. With sweat pouring down freely, it truly is an ideal workout. I feel my body relaxed and softer, though shoulders and abdomen muscles tightened nicely. No more lower back aches and pains. It also improved my blood pressure, cholesterol and thyroid hormone functions. Choosing Hatha Yoga exercise is one of the better decisions I made in life.